Our product range includes a wide range of frozen shrimp packaging tray, fish packaging tray and meat packaging black hips tray. 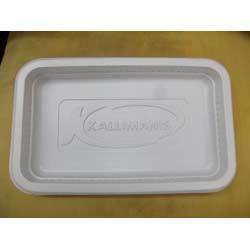 We are a renowned name in this industry engaged in offering Frozen Shrimp Packaging Tray. Our professionals use quality assured plastic material that is procured from trusted vendors of the market and employ sophisticated tools for manufacturing this tray. Owing to its significant attributes, it is widely preferred by the food industry. We are actively engaged in offering Plastic Fish Tray to the clients. Our offered tray is manufactured from quality grade plastic under hygienic conditions at our sound manufacturing premises. This tray is widely used by fish packaging industry owing to its ability to retain the freshness of the packed fishes. We are a leading manufacturer engaged in offering Meat Packing Tray to the clients. Our offered tray is manufactured under sanitary conditions at our state-of-the-art manufacturing premises to maintain the original properties of Meat and keep them unadulterated. 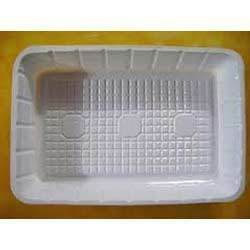 Available with us in various specifications, this tray is used for packing of fish and other food items. Looking for Fish Packaging Tray ?